Should you run experimentation client-side or server-side? er distinct advantages depending on the needs of your organization. Use our guide to determine which is right for your team. 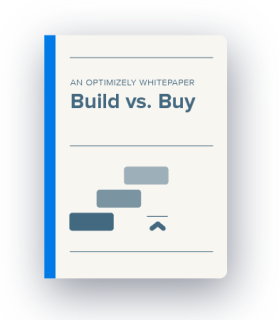 Whether you’re completely new to digital experimentation or you’re looking to upgrade your current testing framework, this practical whitepaper is designed to help you answer the key questions product teams must ask before choosing whether to build or buy a solution.